At the beginning of this new year, I’ve been contemplating what has remained true throughout my adult life and the 34 years of Heartfelt Music. The word that comes to mind is ministry. It’s tempting to see concerts, albums, and training events to be primarily about fame. I’ve seen many artists push hard to get their name out above others and base their important decisions on how much money will come in. A part of the entertainment business requires artists to think about these things, but it could be a slippery slope, especially when character and integrity are treated as less important. I’m very glad that over the years, Heartfelt Music has been an organization committed to ministry and not fame. We’ve emphasized people, relationships, encouraging others toward right living and a strong faith in Christ. The name of Jesus matters more than my name and mentoring others is so fulfilling. I’ll be doing more concerts in the next few months and will be promoting other artists’ concerts as well. All of this is for ministry, positively influencing and encouraging all those who come. Thank you for your help and prayers to keep me focused toward ministry, maintaining the priorities that make eternal differences. There will be a Praise Night with me and the worship band at Gilroy Presbyterian Church, 6000 Miller Ave, Gilroy, CA 95020, this Sunday, January 28, at 6:30pm. This is the first of three monthly Sunday Evening Worship Series. I will be leading, with the GPC worship team, popular worship songs. David Talbott will be leading a hymn sing Sunday, February 25, to recall the greatness of God through song. Then, Sunday, March 18, I will be doing a full concert with lots of guitar and vocal tapestry. 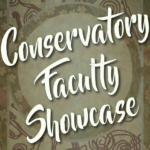 There will be a staff concert on Tuesday, March 6, where some of the faculty of Valley Christian Schools in San Jose will perform in the Conservatory Concert Hall. I’ll be one of the performers this evening with both voice and guitar. Some of my amazing cohorts will sing, play saxophone, piano, and other instruments to demonstrate the wonderful talent represented at VCS. It’s open to the public, students, and faculty. It begins at 7:00pm. In the beautiful Santa Cruz Redwoods, there will be a Summer Concert Series with artists such as Phil Keaggy and Point of Grace. 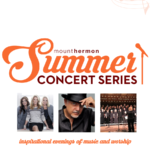 I will be performing in concert with Elizabeth Hunnicutt Summers on Saturday, August 4, at 7:30. Elizabeth will do a 20 minute concert, I’ll do a 20 minute concert, then together we’ll lead everyone in familiar worship songs. Concerts are free, but you can enjoy a buffet dinner right before the concert for $25.00. Praise Night with Reggie and the praise band at Gilroy Presbyterian Church, 6000 Miller Ave, Gilroy, CA 95020. The service begins at 6:30pm. This is the first of three monthly Sunday Evening Worship Series. I will be leading singing with the GPC morning worship service band. For year-end giving, you can donate to Heartfelt Music through Pay Pal (100% goes to us). Last year’s gifts helped us tremendously throughout the whole year…Thank you! 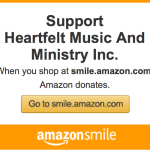 Part of your purchase is donated to us when buying on Amazon.com through Amazon Smile. Also, Heartfelt Music is a registered Charity through eBay GivingWorks. When purchasing anything on eBay, if you list Heartfelt Music as your Charity, we receive a small portion without costing you anything extra. 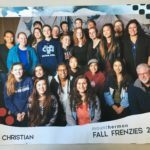 The Valley Christian School Conservatory of the Arts took 32 high school students to Mount Hermon’s Fall Frenzy at Ponderosa Lodge. The entire HS Worship Team went. We had a fantastic trip! 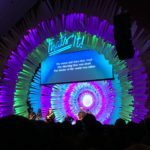 It was fun and meaningful…a great time to get away, be renewed, get closer to friends, and grow in Christ. Usually, students in the Conservatory program give and give, so this retreat was an opportunity to receive. 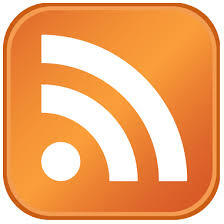 Here’s a link to the highlight video for weekend, which was December 1 through 3. Christmas Eve at Gilroy Pres. Accenting the birth of Jesus, there will be three special Christmas Eve services on December 24th, at Gilroy Presbyterian Church. I will be leading the music for all of them. The 10:00am service is with a praise band; the 5:00pm service is for families and kid friendly, and will have a brass quintet doing music with me; The 9:00pm service will have a professional string quartet and will be topped-off with a beautiful candle lighting experience. He deserves all the glory, honor and praise! You are welcome to join us. I will be leading worship with Gilroy Presbyterian Church, 6000 Miller Ave, Gilroy, CA 95020. The service begins at 10:00am. 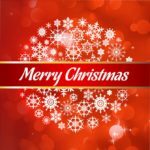 Three special Christmas Eve services 10:00am, 5:00pm, and 9:00pm. Gilroy Presbyterian Church, 6000 Miller Ave, Gilroy, CA 95020. Thank you for your interest in the ongoing work of Heartfelt Music Ministry. We continue to intentionally lead and influence through mentoring, training, teaching, and music performance. Your prayers and support are appreciated so much! 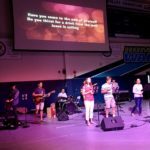 The Valley Christian School Worship Teams have been going so well. 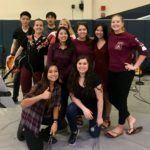 They have led worship everyday for our Spiritual Emphasis Week; led worship for Gilroy Presbyterian Church; and last Wednesday, they led a Worship Chapel where they organized the whole chapel. This year, we have just one team, which gives them more opportunities to lead. The Junior High Worship Team is also doing a great job. Without spending any extra money, you can have a portion of what you buy on Amazon.com by going through Amazon Smile. Also, Heartfelt Music is now registered with Pay Pal Giving Fund and is a Charity through eBay GivingWorks. When purchasing anything on eBay, if you list Heartfelt Music as your Charity, we receive a small donation. Every little bit helps. You can also donate through Pay Pal and now 100% goes to us. Click here to find out more about donating through Pay Pal. 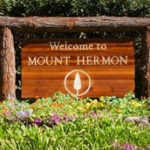 At Mount Hermon Christian Conference Center, this summer I am coordinating the eight concerts every Saturday night. I’m very excited about all the musicians who will be performing: Phil Keaggy, Buddy Greene, Brush Arbor, Dave Talbott & Alex Russell, Point of Grace, Captivating Keyboards, Elizabeth Hunnicutt Summers & me, and the Celebration Choir. Click here for more info. I will be leading worship with Gilroy Presbyterian Church, 6000 Miller Ave, Gilroy, CA 95020. The service begins at 10:00am. On the 26th, we’re having a special service on gratitude. In December, we celebrate the birth of Jesus (Advent) with lots of Christmas Carols. I hope you have had a wonderful summer! My summer has been awesome! Now, it’s full speed ahead into the fall with ministry at every corner. Valley Christian School has started, Gilroy Presbyterian Church has even more of my involvement, and Heartfelt Music will be taking on Mount Hermon’s Summer Concert Series for next summer (more information in the next eNewsletter). 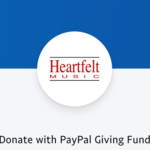 Heartfelt Music is now registered with Pay Pal Giving Fund and is a Charity through eBay GivingWorks. When purchasing anything on eBay, if you list Heartfelt Music as your Charity, we receive a small donation. Every little bit helps. You can also donate through Pay Pal and now 100% goes to us. CLICK HERE to find out more. You can also donate when buying on Amazon.com by going through Amazon Smile. Again, I want to express my appreciation for your generosity in contributions and prayers for Heartfelt Music Ministry. God is doing amazing things and continues to transform lives through us. It’s been a couple of weeks since Valley Christian Schools have started up for the fall. My classes are going well: Guitar I, Guitar II, Guitar III, HS Worship Team, JH Worship Team, and Music Technology. 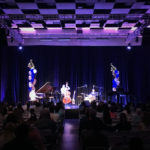 The Conservatory of the Arts began with a special alumni concert to kick-off the year. 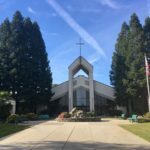 At Gilroy Presbyterian Church, I will be continuing this fall to lead Sunday worship and lead the choir. 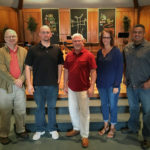 I have enjoyed working with this group so much, I will be ministering more long term with them as their Worship Director. This gives me weekly experience. If you’re in the area, come on by and say hi. 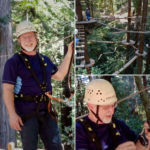 At Mount Hermon Christian Conference Center, I did the Sequoia Ropes Course during Fun Day, August 19th. 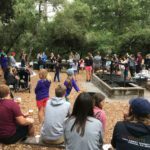 The Mount Hermon Community was invited to celebrate a day for the community to enjoy a BBQ lunch and many of the activities available at Mount Hermon. Leading worship with Gilroy Presbyterian Church, 6000 Miller Ave, Gilroy, CA 95020. The service begins at 10:00am. 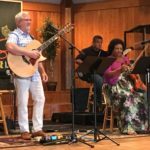 Playing and singing for Mount Hermon’s Labor Day Weekend Family Camp Pancake Breakfasts, 37 Conference Dr., Mount Hermon, CA 95041. From 7:45am to 8:30am, for Family Camp guests only. .I hope you are having a wonderful summer. It’s been such a blessing for me with a break from Valley Christian School. Sleeping in a little and spending extra time with family has been so refreshing. We didn’t have any huge trip for vacation, just day trips to Carmel and San Fransisco. I’m keeping in shape by doing Kick Boxing twice a week with Lightspeed Martial Arts Academy. I’ve also been working on Heartfelt Music, writing out my songs (fully transcribed through Sibelius music writing software), recording a new album, video recording a new training DVD in the Songs & Techniques series, which has the same songs as the new album. 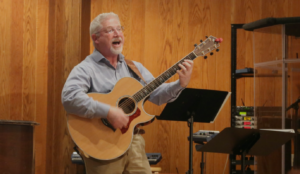 I’ve been playing music for Mount Hermon Family Camps’ Pancake Breakfast in the mornings and leading worship every Sunday at Gilroy Presbyterian Church. Thank you so much for your prayers and support for Heartfelt Music Ministry and effectively leading others toward intimacy with God. Though this month has been somewhat of a break, August will include a full schedule of creating instructional materials, mentoring students, leading worship with various churches, and joining hands with other non-profit organizations to enliven God’s work in the Bay Area. Playing and singing for Mount Hermon’s Family Camp 6 Pancake Breakfast, 37 Conference Dr., Mount Hermon, CA 95041. From 7:45am to 8:30am, for Family Camp guests only. 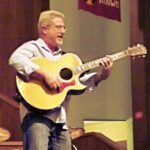 At Gilroy Presbyterian Church, Sunday, June 4, 6:30pm, I’ll be sharing new songs as well as favorites using loops and advanced guitar techniques. You will be encouraged through inspiring stories with beautiful guitar and vocal tapestry. This concert is free. The people of Gilroy Presbyterian Church are providing a free potluck dinner at 5:30pm. The concert will be at 6:30pm. I’ve enjoyed eight months of ministry with GPC and have thoroughly enjoyed leading the band and choir as well as working with the leadership. I will continue to lead worship for them on Sundays for another two months as they are searching for a permanent worship leader. You can download a flier for the concert HERE. Hope to see you there! Giving a concert at Gilroy Presbyterian Church, 6000 Miller Ave, Gilroy, CA 95020. The Concert begins at 6:30pm. What a message of hope! How healing and reassuring! Some people spend too much time dwelling on the past and not enough time looking ahead to what God is doing right now and in the future. God says, “Don’t you see it? I’m doing something new for you! What I’m doing is giving you an amazing way through troubled times, a flourishing experience through the wastelands.” I’ve gone through some really tough times such as the death of my parents at a young age, physical infirmities, work challenges, and almost losing my home. But through it all, God has been so loving and merciful. He continues to take the worst situations and turn them into something good (Romans 8:28). Stay close to Him, don’t dwell on the past, and know that He is making all things new – “The old has gone, the new is here!” (2 Corinthians 5:17b). This month has been very full and very fulfilling too! Last weekend on Saturday, I hosted the first fundraising lunch for Child Evangelism Fellowship Northern California Silicon Valley. A significantly productive ministry reaching 20 million children a year in 200 countries. Then on Sunday, I taught group guitar lessons at River of Life Christian Church in Santa Clara. This Sunday, I’ll be leading worship with Gilroy Presbyterian Church at 10:00am. I’m wrapping up the year at Valley Christian School this month and Graduation for the students is Saturday, May 27 (see below). I’m also wrapping up my private lessons before summer with a Recital in Los Altos at Bridges Community Church Monday, May 22, at 7:00pm. I hope you can join me for my summer concert at Gilroy Presbyterian Church on Sunday, June 4, 6:30pm (see below). You can even join us for dinner at 5:30pm before the concert. Help get the word out by downloading the Gilroy Concert Flier and sharing with others. This June, you can become an Avid Certified User in Pro Tools or Sibelius though the week long courses at VCS. Pro Tools was made by engineers out of a need to replicate fancy studio equipment in software form, Pro Tools has revolutionized the modern day studio, not only making the music production process more simple, but also at the cost of pocket change compared to what it would previously cost to get a decent recording! Producers and Engineers record and mix with it. 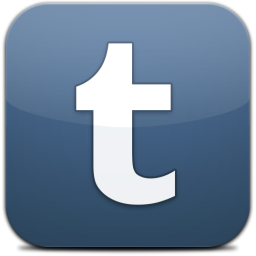 Songwriters and Composers create with it. It is an environment in which you make magic happen! VCS is wrapping up the school year this month (May 27) and it has been a fantastic experience! Teaching guitar, worship leading, and music technology is both challenging and fulfilling. There are over 40 guitarists in my classes with Intro to Guitar & Bass, Guitar 2, and Guitar 3. The guitar 2 & 3 classes went busking (street performing) in downtown Santa Cruz last week. The picture above is from last Wednesday’s high school chapel. The Worship Teams have been doing a great job! The most challenging has been the new Music Technology course since it’s more advanced than before. Pray we finish strong! Would you like to get better at recording music or writing music? 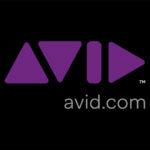 Valley Christian Schools, as an Avid Learning Partner, is offering training to become an Avid Certified User in either Pro Tools or Sibelius. I am an Avid Certified Instructor and will be teaching both courses. The Sibelius User Certification Course will be the week of Tuesday, May 30, through Friday, June 2, 9:00am-5:00am daily. The Pro Tools User Certification Course will be the week of Monday, June 5, through Friday, June 9, 9:00am-5:00pm daily. Both courses are intensive and will give you the professional edge to rise above the competition. 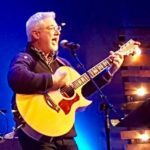 At Gilroy Presbyterian Church, Sunday, June 4, 6:30pm, I’ll be sharing new songs as well as favorites using loops and advanced guitar techniques. You will be encouraged through inspiring stories with beautiful guitar and vocal tapestry. This concert is free. The people of Gilroy Presbyterian Church are providing a free dinner at 5:30pm. The concert will be at 6:30pm. I’ve enjoyed eight months of ministry with GPC and have thoroughly enjoyed leading the band and choir as well as working with the leadership. This concert will be a culmination of enriched ministry with these beautiful people. Come join us! 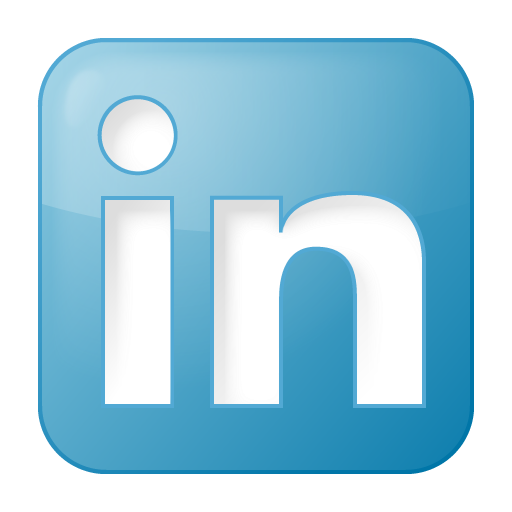 Sibelius Certified User training at Valley Christian Schools, 100 Skyway Drive, San Jose, CA, 95111. 9-5 Daily. Pro Tools Certified User training at Valley Christian Schools, 100 Skyway Drive, San Jose, CA, 95111. 9-5 Daily. May this Easter ignite in you an experience of life that fills your days with hope and joy! “Death has been swallowed up in victory! Thanks be to God! He gives us the victory through our Lord Jesus Christ.” (1 Corinthians 15:54 & 57). Join me this Sunday at Mount Hermon Christian Conference Center‘s Easter Sunrise Service, April 16, 6:30am, at the cross, for music, a message, and breakfast afterward! In case of rain, the service will be held inside at Ponderosa Lodge. This Thursday, April 13, there will be a Maundy-Thursday service at Gilroy Presbyterian Church. I have been the interim worship leader since October directing the choir as well. Last Sunday, we sang Ride On, King Jesus for Palm Sunday, which was a powerful spiritual that added so much energy to the service. They are looking for a permanent part time worship leader to begin in a couple of months, so pray they will find a good fit. I’ll be doing a concert there June 4 open to all. Would you like to get better at recording music or writing music? Valley Christian Schools, as an Avid Learning Partner, is offering training to become a Certified User in either Pro Tools or Sibelius. I am an Avid Certified Instructor and will be teaching both classes. The Sibelius User Certification Course will be from Tuesday, May 30, to Friday, June 2, 9:00am-5:00am daily. The Pro Tools User Certification Course will be from Monday, June 5, to Friday, June 9, 9:00am-5:00pm daily. Both courses are intensive and will give you the professional edge to rise above the competition. Each course includes two textbooks (SB101/SB110 and PT101/PT110 respectively). 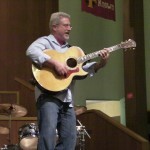 Leading worship for Maundy-Thusday with Gilroy Presbyterian Church, 6000 Miller Ave, Gilroy, CA 95020. The service begins at 7:00pm. 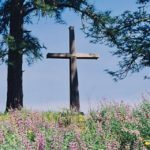 Leading worship for Mount Hermon’s Easter Sunrise Service, Ponderosa Lodge (The Cross), Mount Hermon, CA 95041, 6:30am. 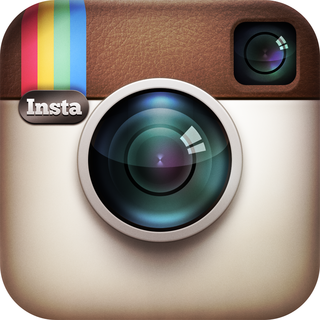 Teaching group guitar lessons at River of Life Christian Church, 1177 Laurelwood Rd, Santa Clara, CA 95054. 7:00pm. I’m doing a concert at Bridges Community Church in Los Altos Sunday, March 5th, at 7:00pm in the main auditorium. I’ll be sharing new songs and some songs that have been favorites. I want to invite you, your family and friends for an uplifting evening. I haven’t done a concert since August and I’ve written a couple of new songs, which haven’t been recorded yet. I’ll be giving an update on my family and some of the wonderful things God has been doing through Heartfelt Music. I’ll have CD’s and music available. Check out the columns below with detail about my concert, the BASS conference and my recent trip to Hume Lake. At Gilroy Presbyterian Church, I continue to lead worship twice a month through April, directing their choir as well. It’s a joy to work with their contemporary band. The next time I’ll be there is March 12th. The choir will be singing a Tommy Walker song, He Knows My Name. I’ll be teaching two guitar workshops again at River of Life Christian Church in Santa Clara on March 19th. Both the beginning workshop and the advanced workshop will continue with new chords, songs, techniques, and exercises. 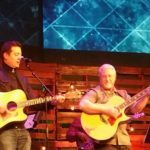 At Bridges Community Church, I’ll be sharing new songs as well as favorites using loops and advanced guitar techniques. You will be encouraged through inspiring stories with beautiful guitar and vocal tapestry. If you would like to get the concert flier to help get the word out, click on the photo above and you can download a PDF of the flier. 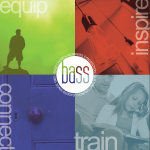 March 2-4, Peter Neumann and I will be leading worship for the BASS Convension’s General Sessions and teach training workshops throughout the weekend. I’ll be teaching Songwriting, Worship Leading, and Dynamic Guitar in Worship. There are over 300 workshops for every church worker. Come treat yourself to some training. Last weekend, 19 students and 3 adults from the Valley Christian High School Conservatory went to Hume Lake for their Winter Weekend. It was great to build friendships and get closer to God. The weekend was both fun and fruitful! The emphasis was to love God and love others: That’s It!